It is with a heavy heart that we are announcing that the Ide Family of Dealerships no longer carries the Mazda brand. After working with Mazda and evaluating the Rochester market, it was determined that there are not enough sales to support the current number of dealers in the area. After much consideration, it was decided that closing the Penfield Mazda location made the most sense for the brand and the market. While we are sad to part with Mazda, we are excited for the opportunity to focus on our other, bigger stores, Honda and Volkswagen. We will continue to bring you the exceptional experience and service you have come to expect from the Ide Family of Dealerships. We are happy to continue to help you with your Mazda non-warranty service needs at our Honda location. And when you’re in the market for a New or Pre-Owned vehicle, our Honda and VW location are here for you, and would love to earn your business. The Ide Family would like to thank all of our Mazda customers who have supported us over the past 6 years. Thank you for your understanding. 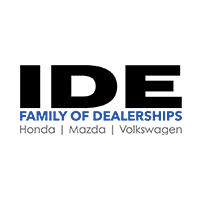 We hope to continue to earn your business at the Ide Family of Dealerships.